The new Toyota Avensis has been designed to be a strong performer in the business car and fleet market, not just in terms of running costs but also in providing the kind of comfort and on-board technologies that make life easier for the longer-distance driver. 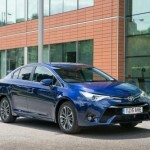 The new Toyota Avensis aims to make things easy for the customer, with new style, new engines and innovative technology. Regardless of version or equipment grade, it is designed to be prestigious and trustworthy. 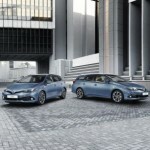 Toyota will reveal its new Auris at the Geneva motor show (3 – 15 March), the British-built hatchback and Touring Sports wagon versions making their debut alongside new Avensis. 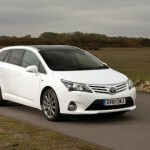 Toyota’s Avensis range of saloons and tourer estate cars receives a gentle refresh for 2013.